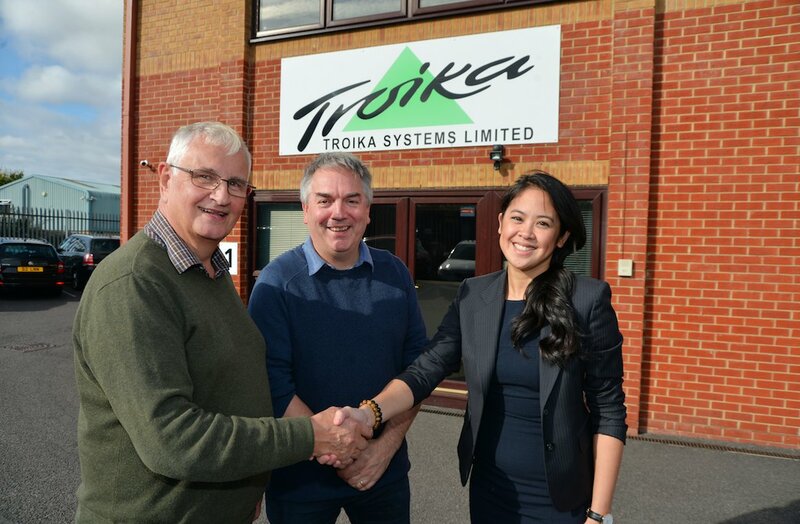 Watersheds, the Northampton corporate finance specialist, has led the successful sale of Troika Systems Limited, the award winning market leader in the manufacture and distribution of innovative 2D and 3D microscopes to Fresh Equity Limited. Swindon-based Troika was established by Philip Hall in 1996 who had significant knowledge and experience in the printing industry. He identified there were inefficiencies within the industry due to lack of quality control and standards on the capital equipment, costing printing companies significant amounts through wasted print runs. Philip developed innovative products to address these issues. “I am delighted to have worked with Watersheds. I believe the business can be taken to the next level with the current management team under guidance and support of a more experienced owner. Therefore, it was important to me Troika was sold to a buyer who saw the potential and more importantly would look after the loyal staff who have supported me all these years. The acquisition allows the business to grow with the current experienced management team, guided by Midlands based investment company Fresh Equity Limited. “Troika manufactures a very unique product therefore it was important to find a buyer who could see the potential application across other sectors and build upon that opportunity. Legal advice was provided by Clark Holt with accounting and tax support provided by Morris Owen.